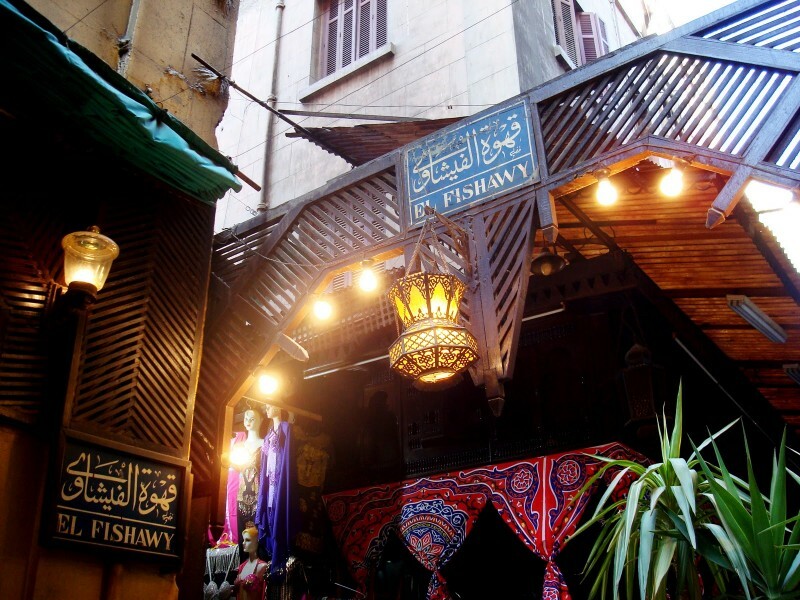 Khan Khalili Bazaar is particularly a high spot for the Tourists coming in and out of Cairo Egypt on either day trips or longer stays. it is the one place where any visitor can get any kind of Egyptian souvenir all under one roof, usually recommended with a Guide to help with the bartering! Cairo is a huge City divided into 2 main governorates, that of Giza and Cairo. Khan Khalili is a district within Old Cairo and within Cairo Governorate. 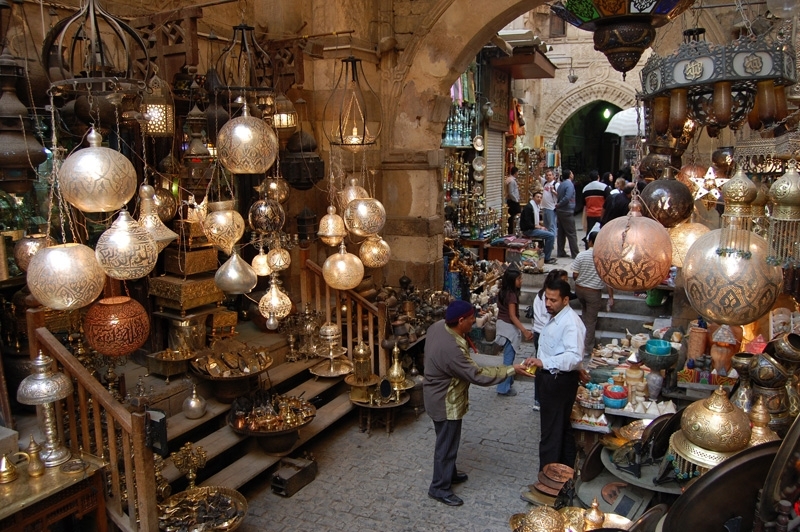 The Bazaar is named after the district and the word ‘Khan’ stems from the old Ottoman Turkish name for ‘place’. The main street, al Badestan, is now mostly devoted to souvenirs, but for more interesting buys stroll into the smarter alleys to find out where the locals shop. A good place for lunch or a snack is the Naguib Mahfouz Café-Restaurant on al Badestan.The gold market around Sharia al Muizz li Din Allah is big and busy as the amount of gold given by a groom to his bride in Egypt,is still an important part of the marriage contract.The spice and perfume bazaar in an alley to the side of the Barsbay mosque, on Sharia al Muizz li Din Allah which still has an authentic medieval atmosphere. 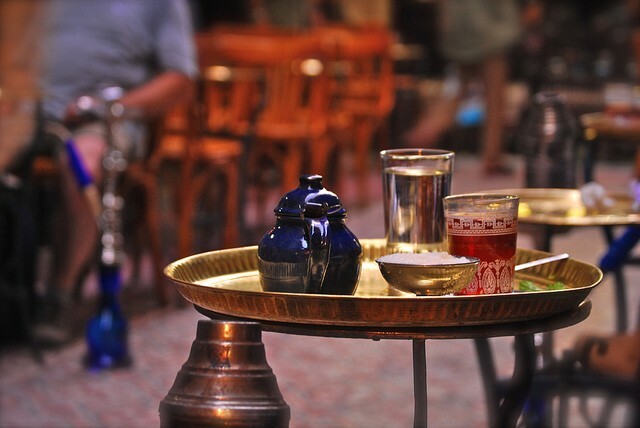 It is the best place in Cairo to get souvenirs, a million kind of handmade products like vases, sphinx, papyrus paper, pyramids, pearl boxes statues, herbs and spices, handmade jewellery and also the Galabeya (the traditional Egyptian costume). You can have your name engraaved on the Egyptian cartouche in hieroglyphics in gold or silver, t-shirts, coloured papyrus, hand blown glass bayrex, porcelain plates and cups, cooper vases and statues. Henna Tattooing near to El Hussein Mosque, is an important part of Egyptian culture for women especially around wedding times for the Bride.This is also popular with many tourists as it is not a permanent tattoo and is relatively inexpensive. Do not miss Khan Khalili on your Egypt Tour!